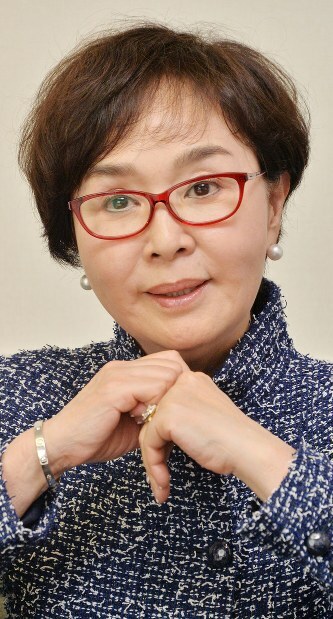 Entrepreneur Chiyono Terada added yet another title to her list of "first woman to ..." on May 17 when she became one of the first female directors of the Japan High School Baseball Federation, commonly known as Koyaren, since its founding in 1946. Born in Hyogo Prefecture, 70-year-old Terada started her own moving business Art Moving Center (now Art Corp.) in 1976, when companies of that kind were rare. She still serves as the president of the firm. Terada applied her "housewife's perspective" to quickly grow her moving business, offering services such as killing insects during transport. Her choosing of a company name that begins with "a" to land at the top of the phonebook and a telephone number ending in "0123" are now famous stories. Terada served as a representative director of the Kansai Association of Corporate Executives from 2002 to 2004 and became vice chairperson of the Kansai Economic Federation in 2005 -- the first woman to hold either position. Her long history of being the standout woman in male-dominated fields began in junior high school, where she was the only female member of her school's kendo club. She currently holds the rank of first dan. "I don't really pay attention if someone is male or female," Terada said. While she has been impressed by high school baseball players on television, Terada had no particular connection to high school baseball. When she was first approached by Koyaren, which sought to integrate a female perspective, she firmly refused, saying she wouldn't be useful. However, when federation chairman and economist Eiji Hatta told her that she didn't necessarily have to be an expert in baseball, she changed her mind. Terada's decision to join the ranks of Koyaren's directors happened to coincide with allowing female assistants to participate in practice for national high school baseball tournaments under certain conditions for the first time, starting from this year's National High School Baseball Invitational Tournament.